Sime Ambo Impact Drive Sprinkler is constructed with a heavy cast aluminum body, brass drive arm and brass lower turning union. 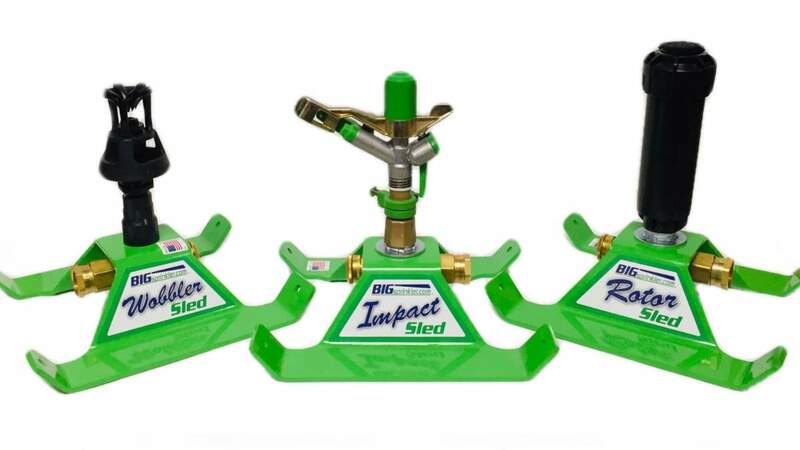 Features include adjustable stops for full or part circle coverage, an adjustable jet breaker for changes stream pattern and a quick change nozzle setup all supported by a 1 1/2" female standard pipe thread connection. A very popular sprinkler, the Ambo is a dual port sprinkler with a secondary stream nozzle located just above the main barrel to cover close and intermediate ranges. The Ambo is unique to most other impacts as the drive arm operates off of the secondary nozzle instead of the main barrel. This allows to main barrel to project water and gain ultimate distance without any interruptions from a drive arm. The Ambo also has a slightly slower reversing motion than most traditional impact sprinklers. Includes a set of nozzles to accommodate 20 to 107 gallons per minute and coverages up to 190 feet in diameter!